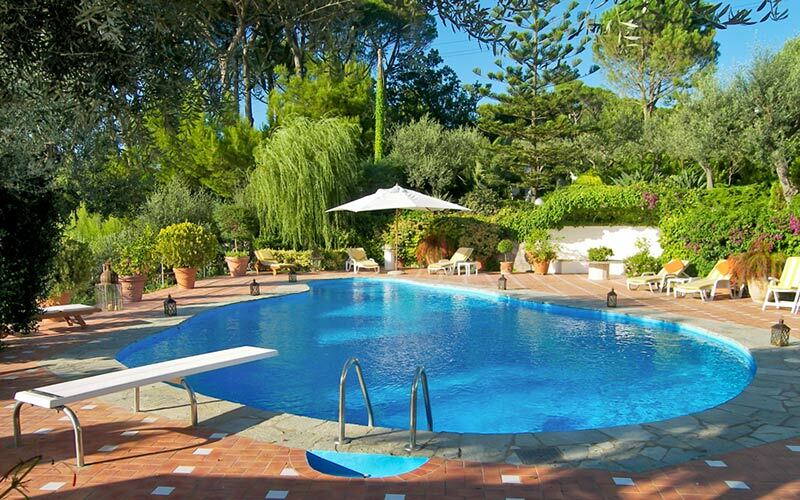 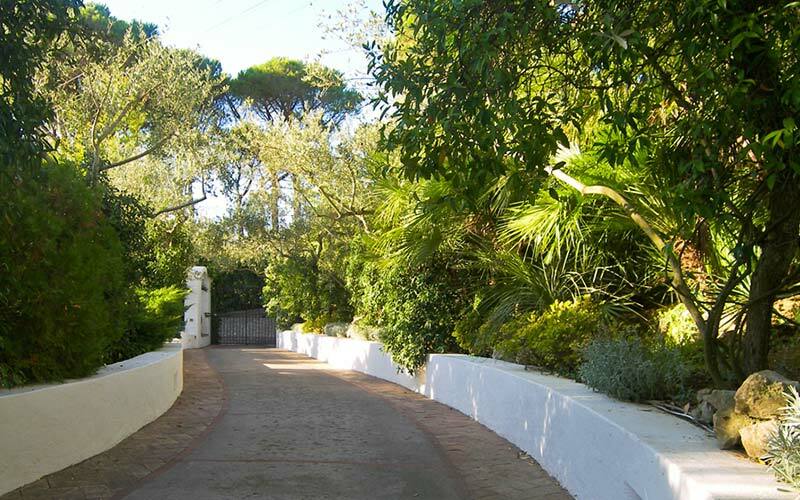 The wild and untarnished beauty of Anacapri, the brilliant blue of the Mediterranean sea, the privacy of a secluded garden and the kind of pool dreams are made of: Villa Hederes is one of the most exclusive and panoramic holiday homes on the whole of the island of Capri. 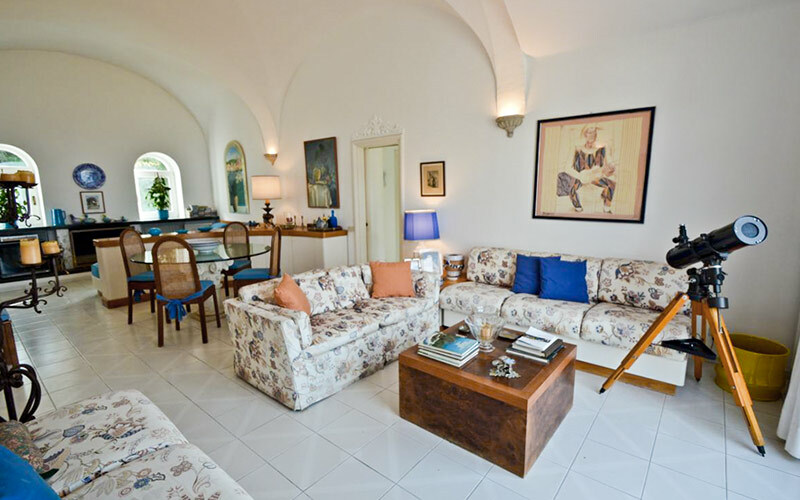 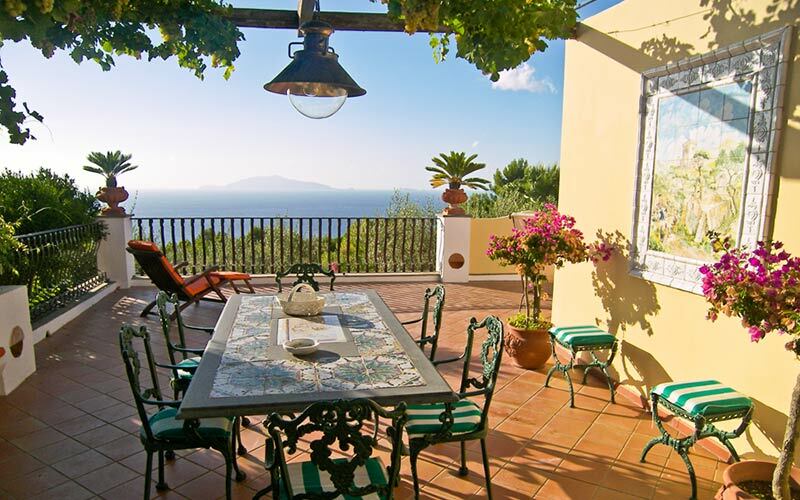 Thick white walls, classical columns, graceful arches and a sun-kissed terrace which runs all the way around the house: Villa Hederes has all the features of Capri's most elegant traditional homes. 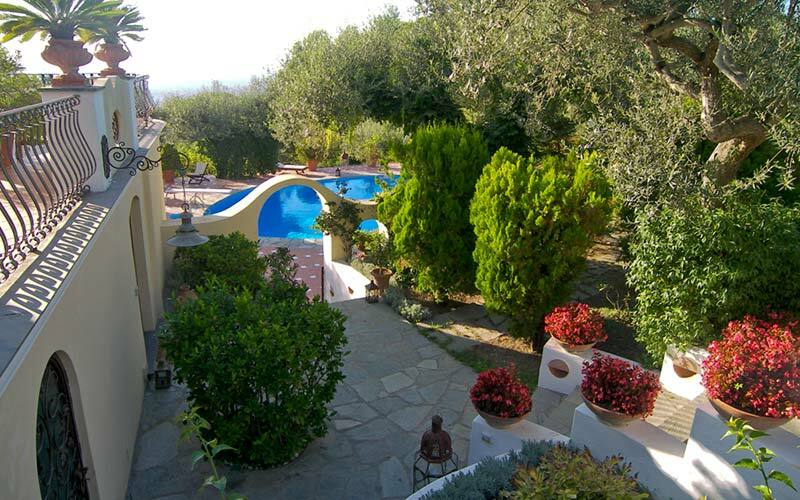 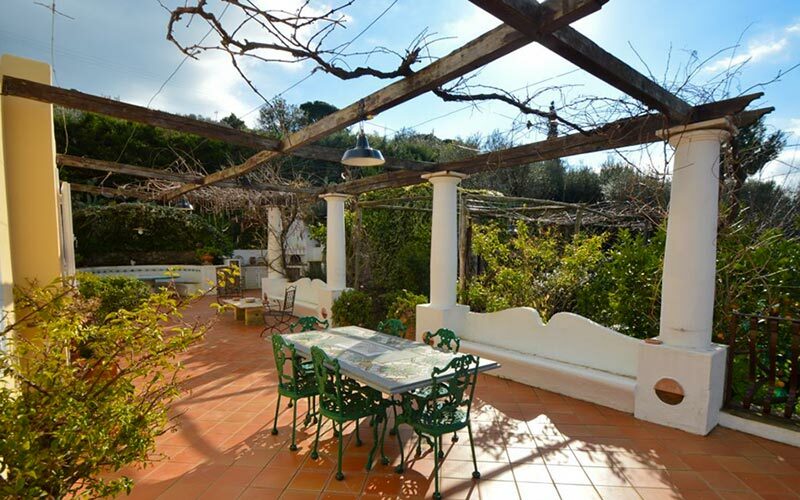 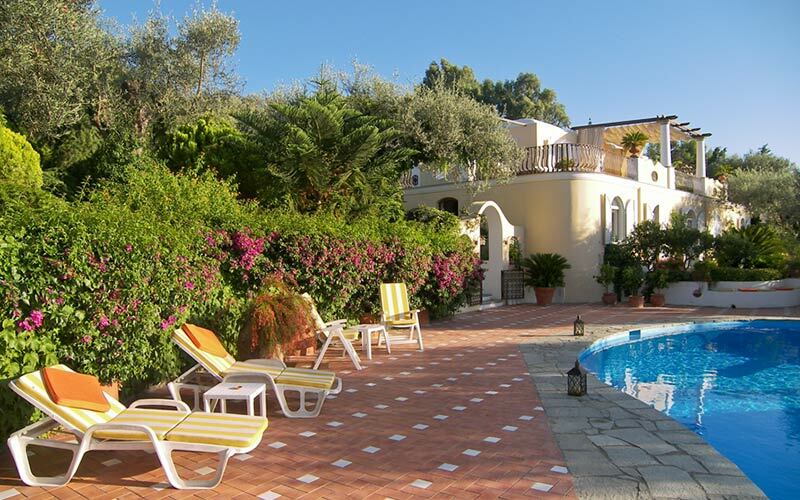 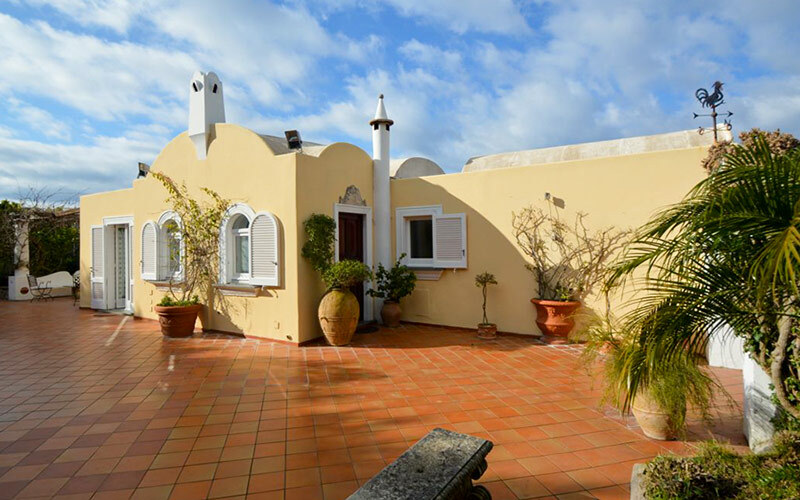 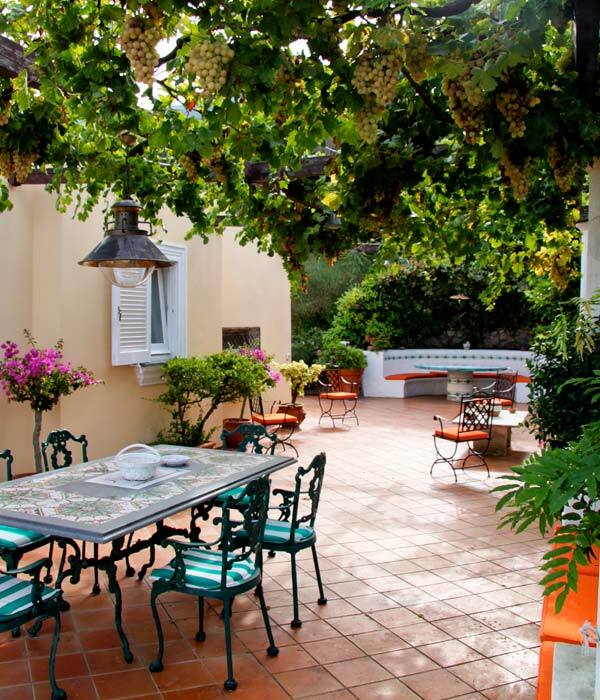 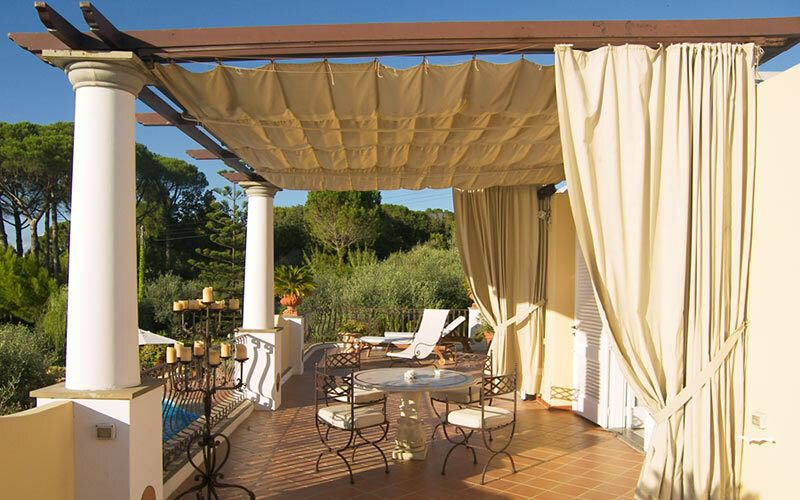 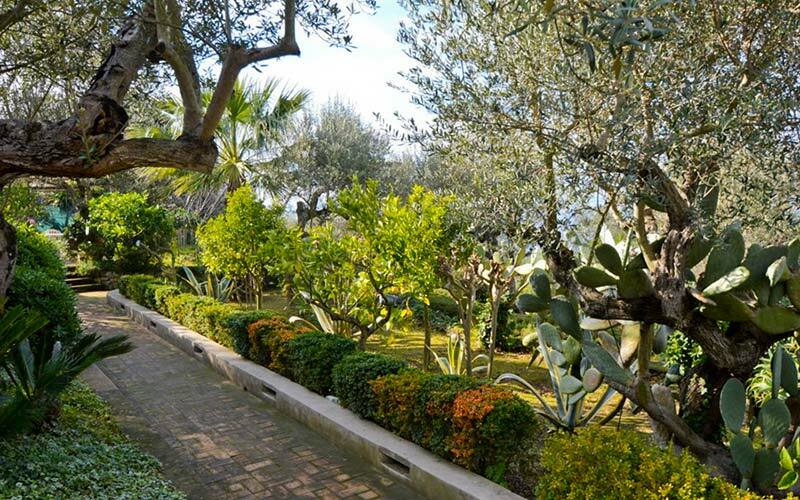 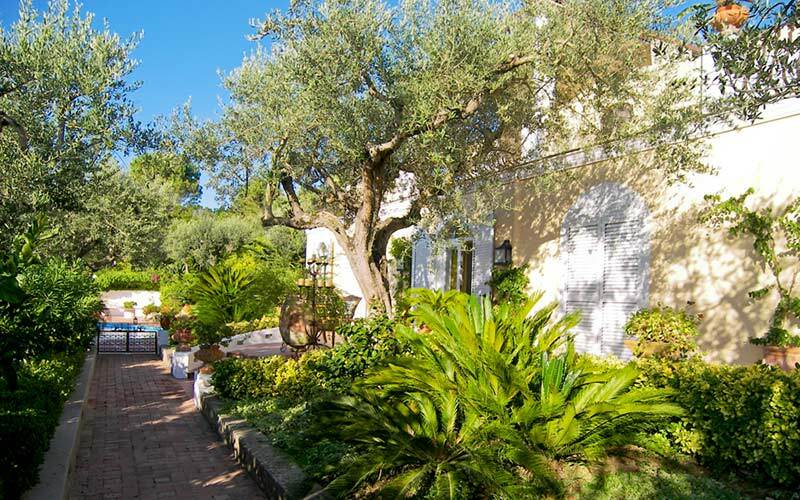 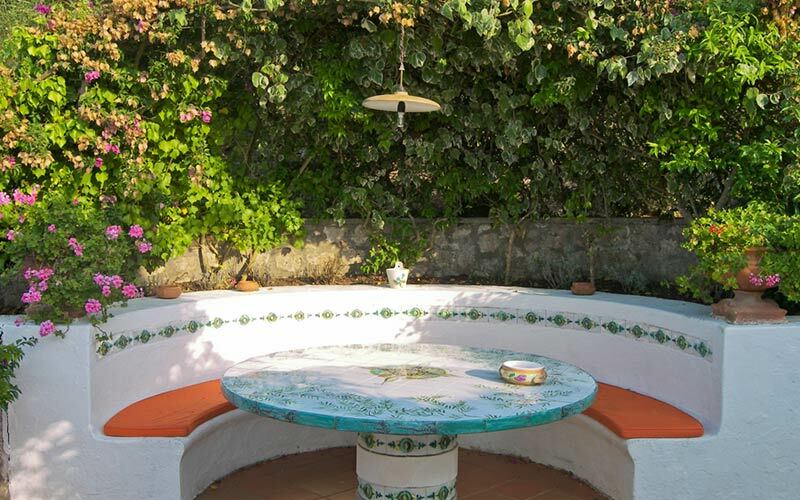 It's on the terrace, complete with a characteristic vine-covered pergola, diaphanous white sun awnings and pretty stone benches that guests are likely to send much of the day and evening, enjoying the views of nearby Ischia and Procida and the spectacular sight of the sun setting over the sea. 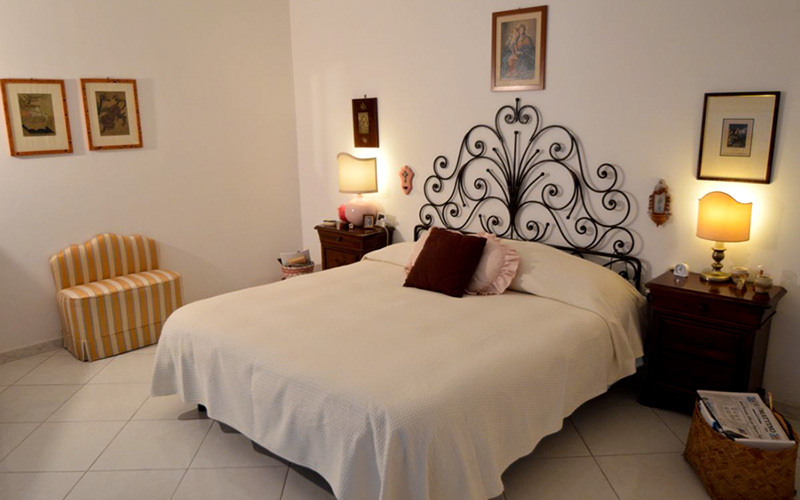 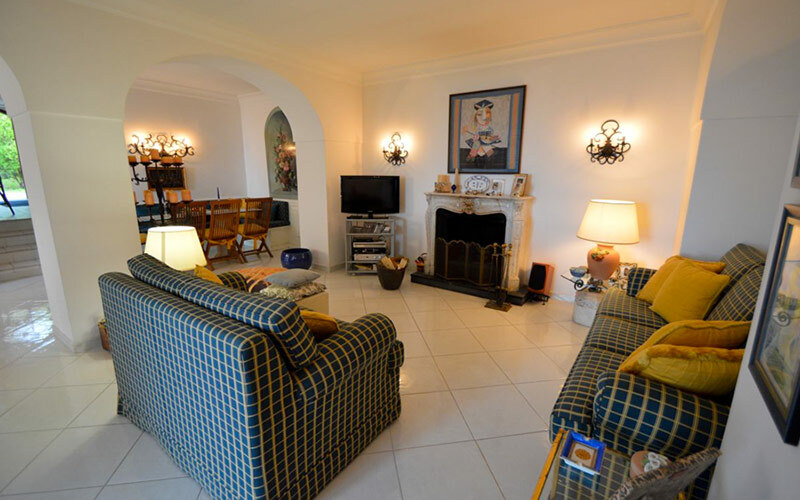 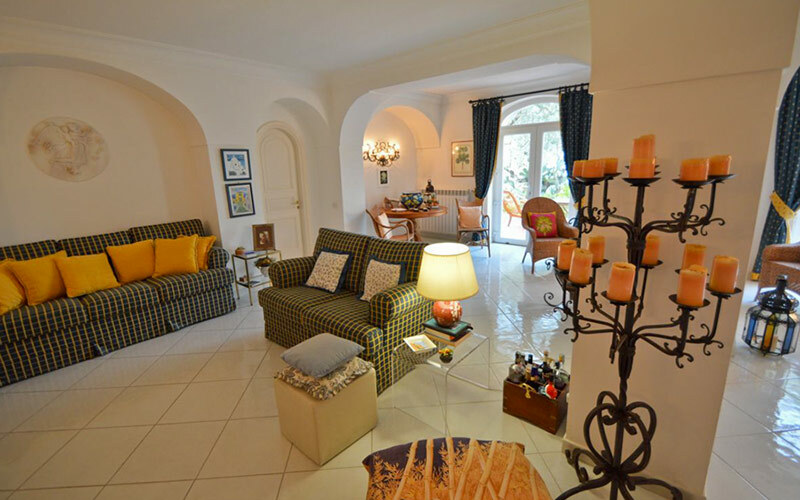 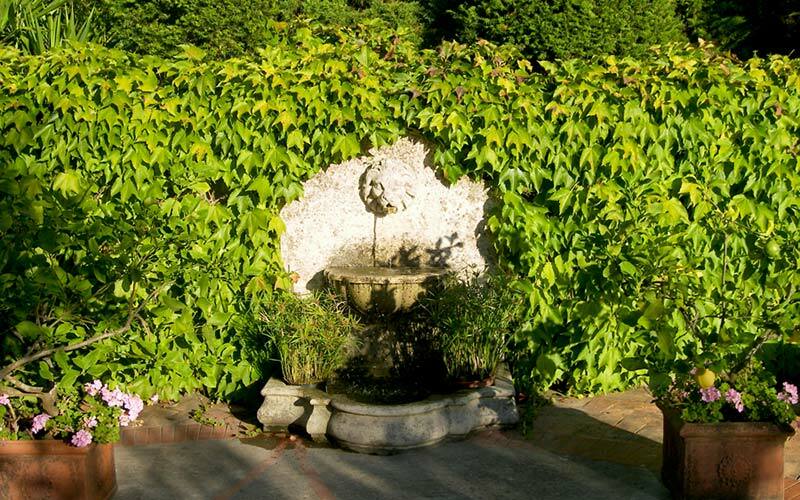 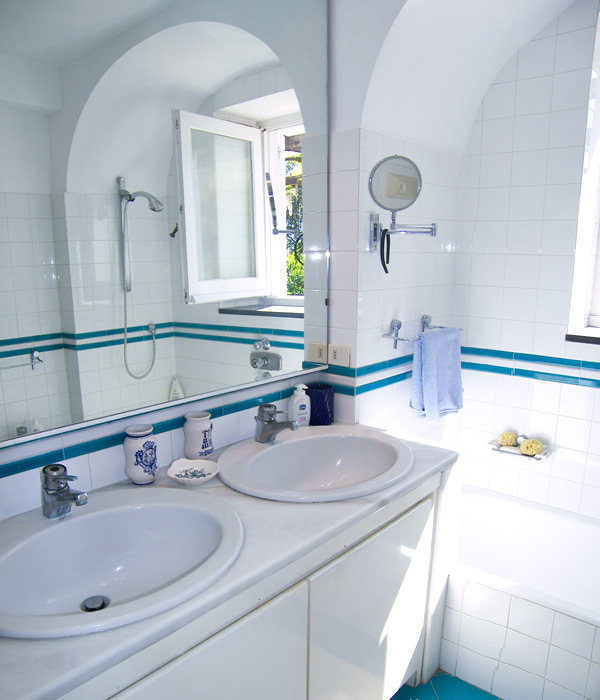 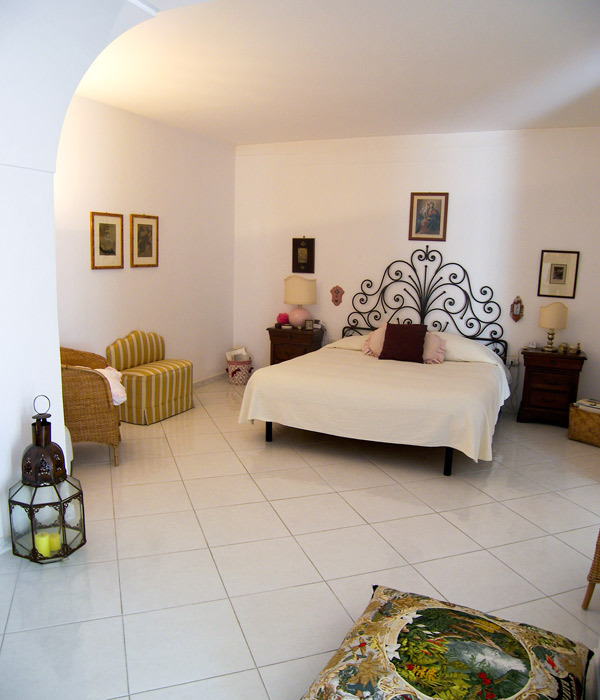 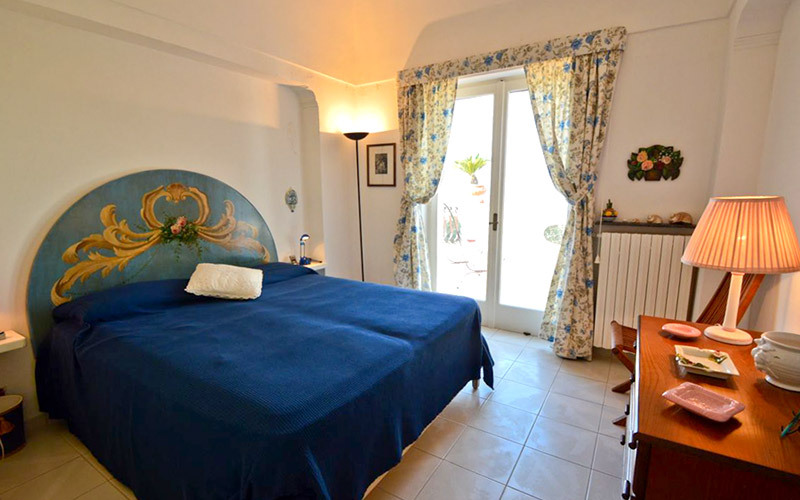 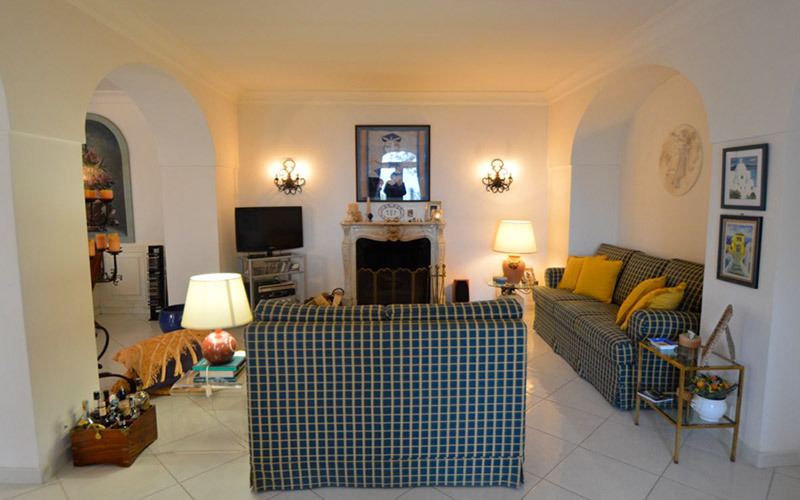 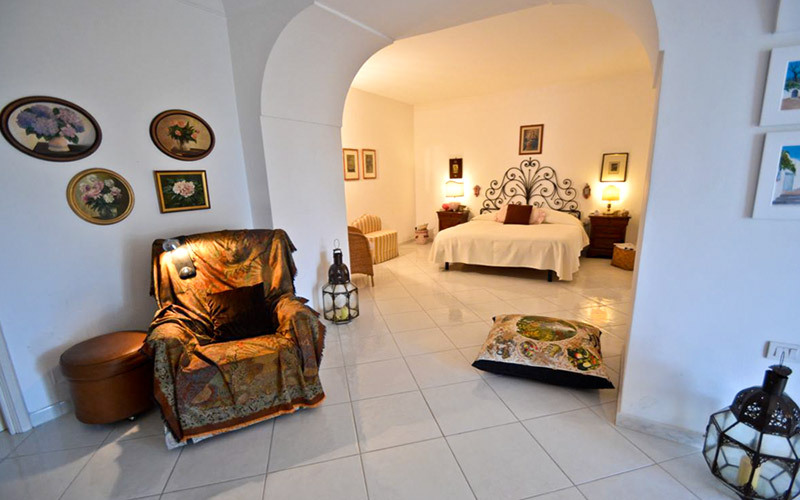 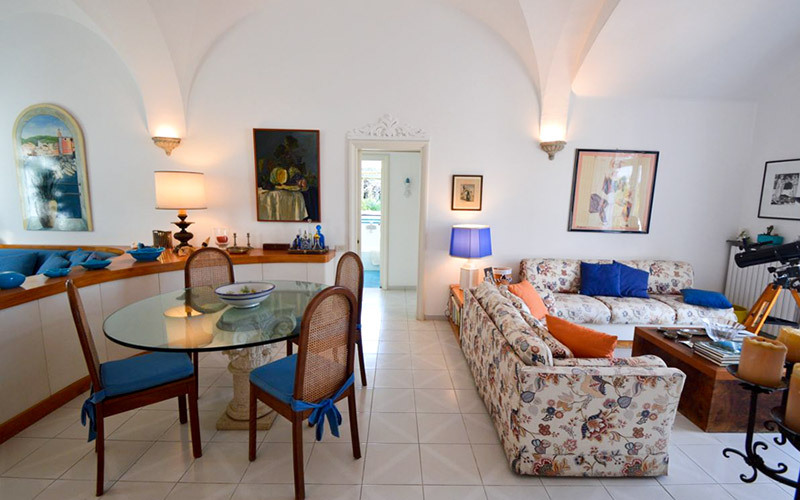 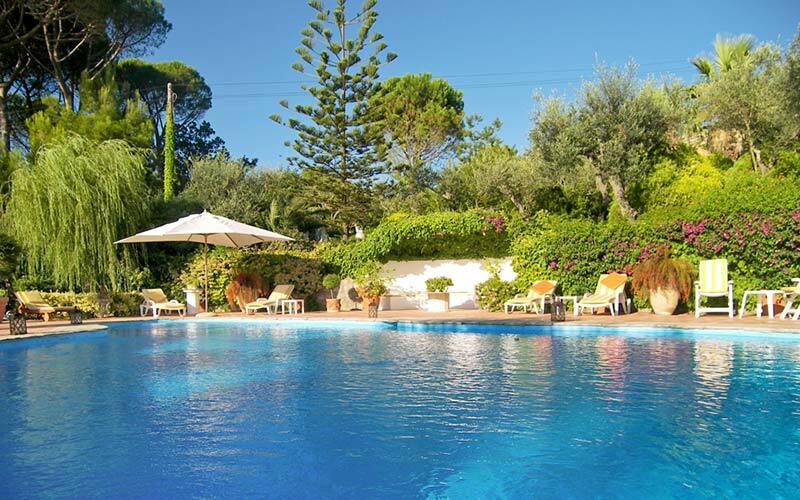 The ground floor features a large, sea-view air-conditioned sitting room, furnished with comfy sofas and armchairs and an attractive marble fireplace; a dressing room and the Master Bedroom, a large beautiful double bedroom with ensuite bathroom which opens onto the garden. 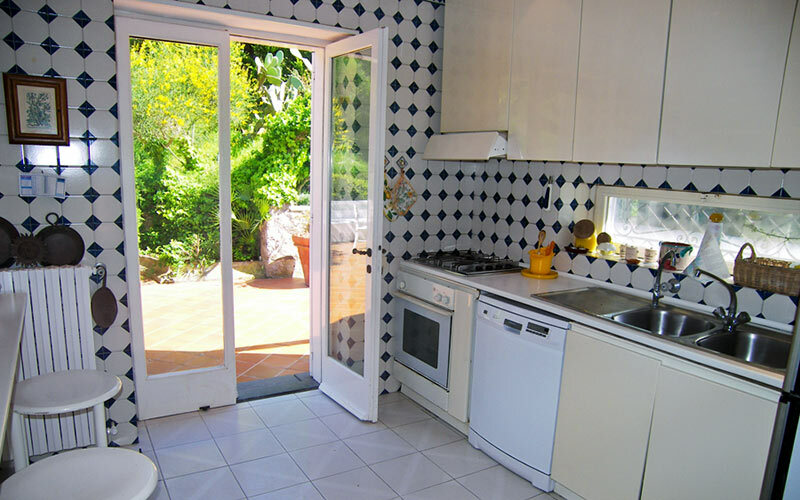 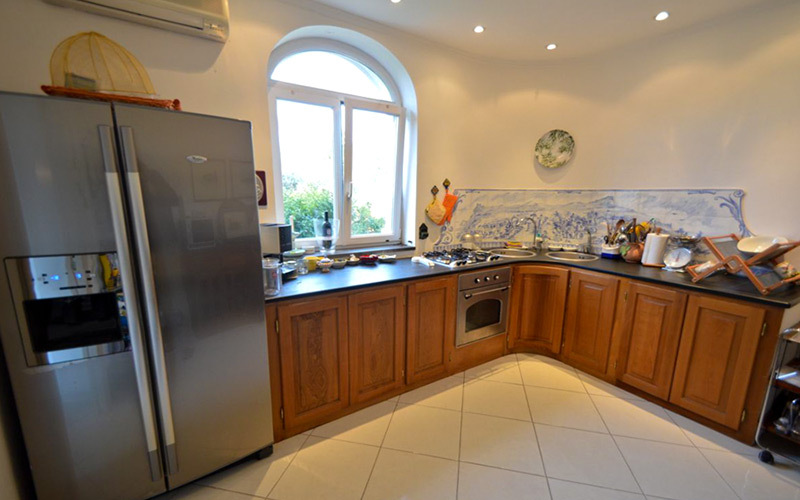 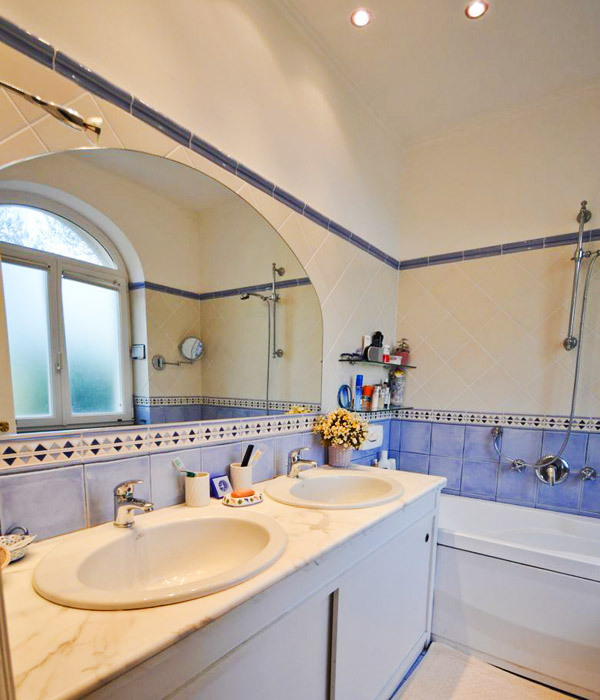 The big downstairs kitchen is equipped with a full range of domestic appliances and cooking utensils. 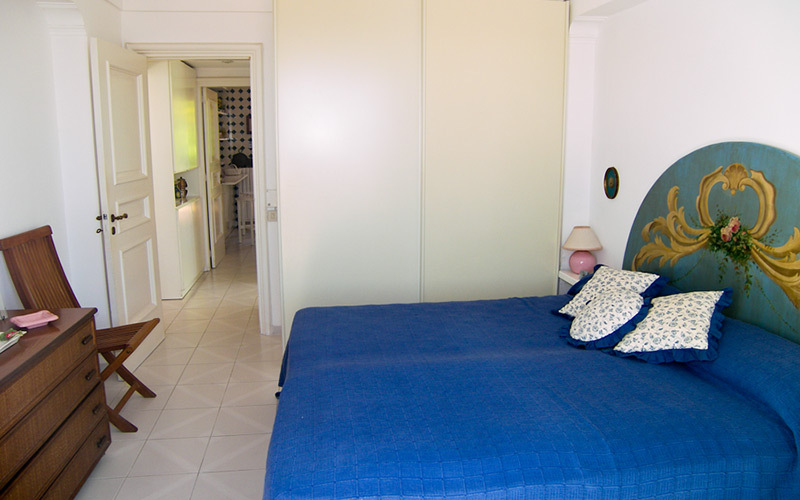 The first floor is comprised of a second air-conditioned sitting room, opening on to a sea view terrace; 3 double bedrooms with air-conditioned system, two bathrooms, one with shower and one with bathtub; and a second kitchen which, like the sitting room, opens onto the panoramic terrace.